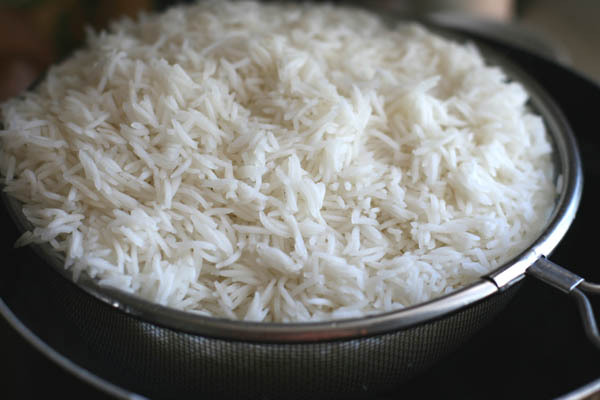 John and Jacklyn's Blog: Now Rice Is Dangerous! I love rice. Can't get enough of it, seriously. I could eat rice with any meal and never get tired of it. That's why I couldn't believe it when I heard about the report in Consumer Reports that we should limit our consumption of rice because of elevated levels of arsenic! That's right: arsenic as in the poison. And arsenic has been shown to possibly result in cancer, and as a cancer survivor myself, I started paying attention. The theory is the since rice is grown in water it absorbs more arsenic out of the soil, both naturally occurring and from the use of pesticides. They tested more than 60 different rice products and have determined that babies shouldn't have more than one serving of rice cereal a day, that kids under 5 not drink rice milk on a regular basis and that older children not have more than a cup-and-a-half of rice cereal like Rice Krispies in a week. Then the hammer really dropped on me: The reports says that we adults should have no more than 2 regular servings a week! Man, I'm way over that mark! You're probably saying we hear these warnings all the time, that you'd really have to eat a lot of rice, that the testing was done on mice or something. You're probably right, and it sure gets frustrating when you hear about all the things that could cause cancer. Here's what I'm wondering: Do you pay attention to these types of warnings? Would you change your diet or that of your children based on something like this? Email us at johnandjacklyn@cc1063.com. And let's face it, if they said tofu causes cancer, I wouldn't care because I don't eat tofu. But one of my favorites like rice? Lord help me if they start saying nasty things about beer! Here's a link to an article on the report if you'd like to read more.